Growing up, KRAFT Mac & Cheese Dinner was one of my favorite meals. I just adored opening my lunch box to find it waiting inside or seeing it on the dinner table. In fact, even into my adult years it has been one of the constants in my kitchen when it comes to making an easy dinner. Yes, our pantry is always stocked and anytime I can’t decide what’s for dinner, I instantly reach for it! Knowing that I have so loved this easy and quick option for so many years, I’ve done everything I can to pass that love onto my children. From making it readily available as an afternoon snack to including it in many a family dinner, KRAFT Mac & Cheese has made quite a few appearances on our table! Recently though, I decided to take this delicious family favorite off the dinner table and turn it into a lunch my boys would love! You see, they are both a little picky when it comes to eating. But one thing they NEVER say no to is KRAFT Mac & Cheese! And since this classic meal now has better for your options and is available in fun Star Wars shapes (OMG!) I figured it was time to make an out of this world bento box lunch (or dinner really) that I was sure would thrill my little Jedis! Since the star of my bento box was obviously KRAFT Mac & Cheese STAR WARS Boxed shapes, I started with the easy (and quick) preparation. 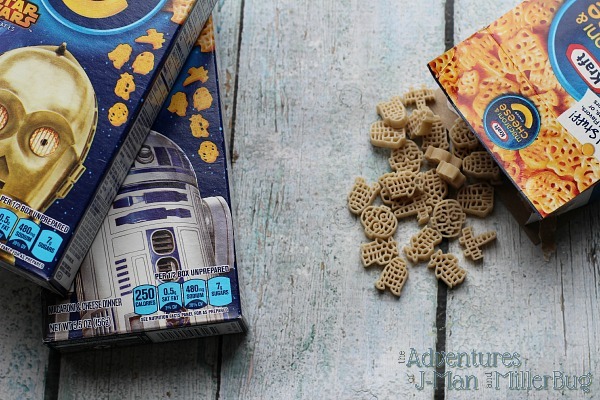 These STAR WARS boxed shapes have no artificial flavors, preservatives, or synthetic colors but the fun shapes that have taken the place of classic macaroni in the STAR WARS boxes was enough to cause me to look twice! Already my boys had been excited about the outside of the four collectible boxes featuring Yoda, Darth Vader, R2D2, and C3PO and had made it their mission to collect all 8 boxes with half a character image on the back so that they could have a happy little STAR WARS family in our pantry. So I knew it was only natural that they would be just as excited about the fun shapes inside! Knowing that the star of my bento box was only minutes from perfection, I set to creating the perfect sides to compliment it! I’ll be honest and say I had thought ahead a little bit (as you must do when you’re job as a mom is to make meals fun and appealing) and had made some easy yogurt Darth Vader bites for the side of my meal. It was easy to pour the yogurt into my fun STAR WARS molds and freeze it overnight to set. With those ready, I knew that there was no way to have STAR WARS without some stars! So I pulled out my star shaped cookie cutter and quickly transformed oranges and apples into a star shaped side that was the perfect complement to my KRAFT Mac & Cheese Dinner! Finally as a fun finish, I wrapped foam in aluminum foil and stuck a skewer with the point cut off into it. A few black dots on the front and my light saber skewers were ready to be filled with grapes! With all the simple ingredients for my fun STAR WARS themed bento box prepped and ready to go, all that was left to do was turn it into a meal that my kids couldn’t get enough of! I spooned a cup of my slightly cooled KRAFT Mac & Cheese into the large compartment and then added my fruit stars and my Darth Vader yogurt treats to the other two compartments, finishing my fun lunch with the grape light sabers on the side! And instantly I had a meal that I knew the kids would think was out of this world! 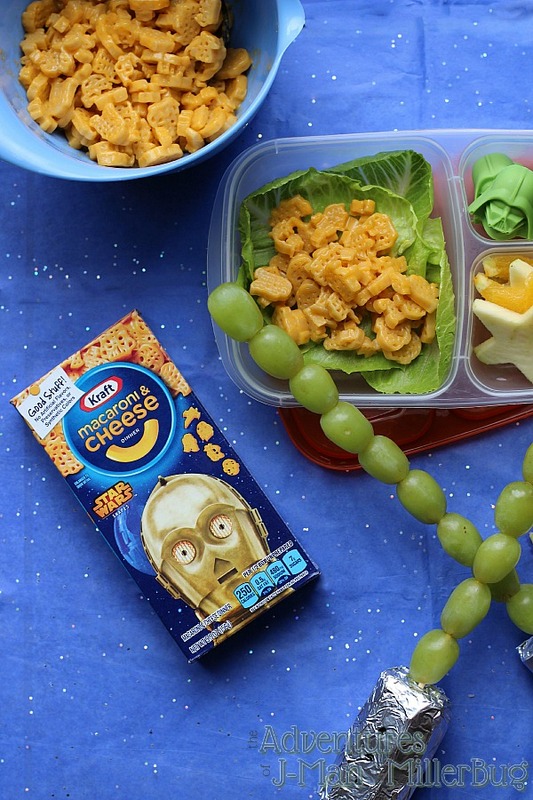 The fun shapes of the STAR WARS KRAFT Mac & Cheese Dinner paired perfectly with the rest of the items to create a themed lunch that was perfect for both of my boys! I instantly knew without a doubt that I would have no problem convincing them to make this fun and easy meal disappear. No matter if it was a fun lunch on the go or a quick STAR WARS themed dinner after sports practice, this was a meal we would all be begging to have more often! As I added the tops to my STAR WARS bento boxes for both boys and prepared to surprise them with a meal they would love, I couldn’t help but feel quite a bit of satisfaction. 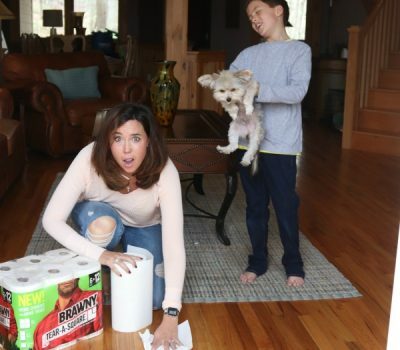 After all, being a mom can be hard. But putting an amazing meal that they can’t wait to eat in front of them shouldn’t be! 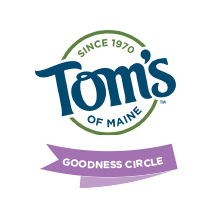 And with KRAFT Mac & Cheese it’s not! 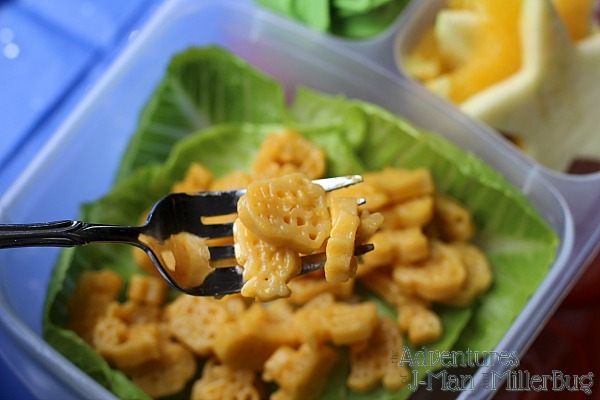 If you’re ready to take your kiddo’s meals to a whole new level, start with KRAFT Mac & Cheese Boxed Shapes! Add a little creativity and a lot of love and be prepared for your kids to go crazy over this classic meal, just as you once did. Because while times may have changed, the classic taste of KRAFT Mac & Cheese definitely hasn’t! Oh I just love this! 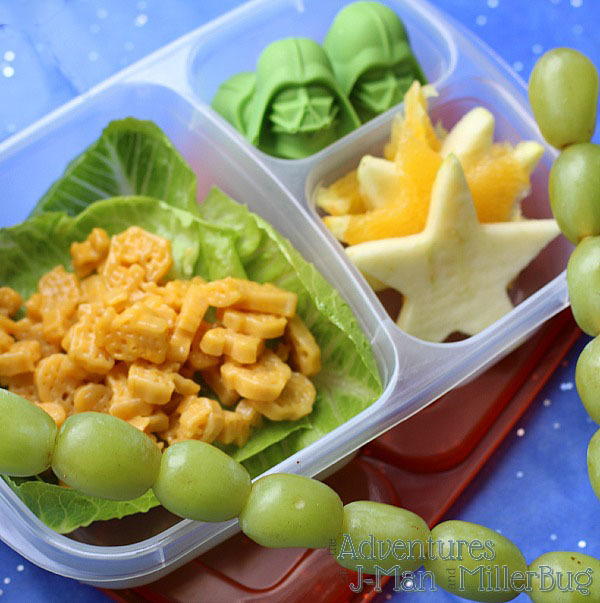 My daughter is a huge Star Wars fan, and I could get her to eat more fruit and veggies like this, such a cool idea! OMG this is absolutely perfect! My son would love this and I’ve gotta put one together for him now 🙂 The lightsaber grapes are brilliant! What a cool idea. We are huge Star Wars fans in our house, so this would go over big. Oh that is just too cute. I love the grapes. My kids would love it. Oh my goodness! These are adorable! What a great idea for this summer with my boys!! wow I’m so sure your boys were the hit of lunch that day. 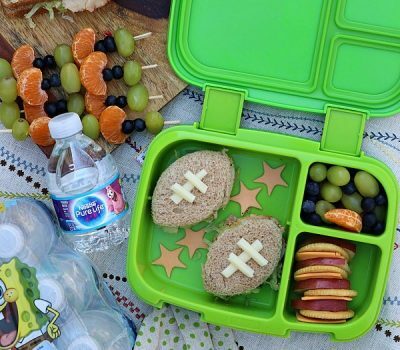 Love this super cute lunch idea. What an adorable idea for any Star Wars fan. I love the Darth Vader yogurt bites. They are so neat. 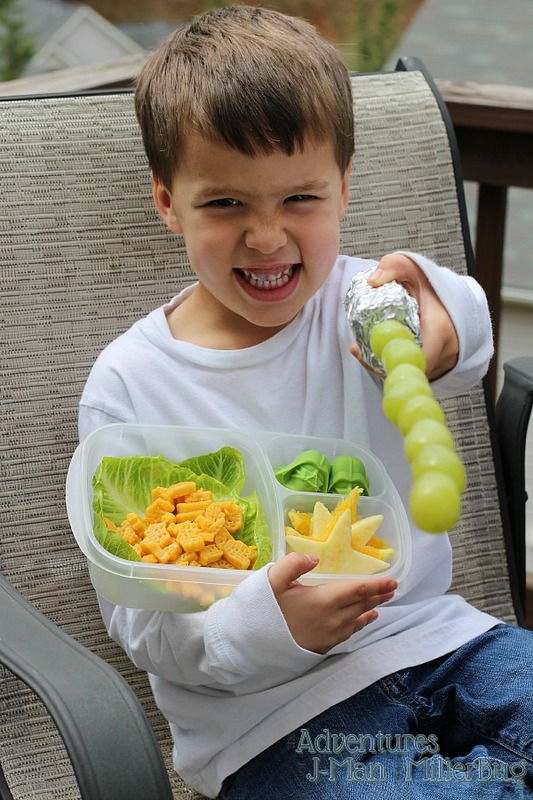 The grape light sabers are awesome! So creative! 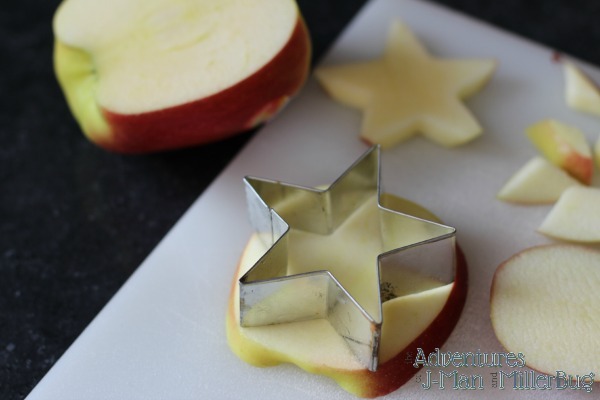 isn’t it funny how kids will eat a lot more when it is in the shape of something cool? Fun Macaroni. I love this. The light sabers are a great touch and so much fun. Star Wars make an awesome addition to Bento boxes. 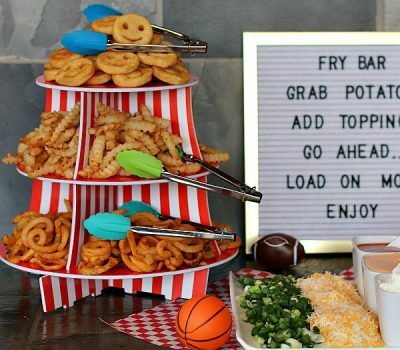 What a fun idea, I’m sure my kids would love it! 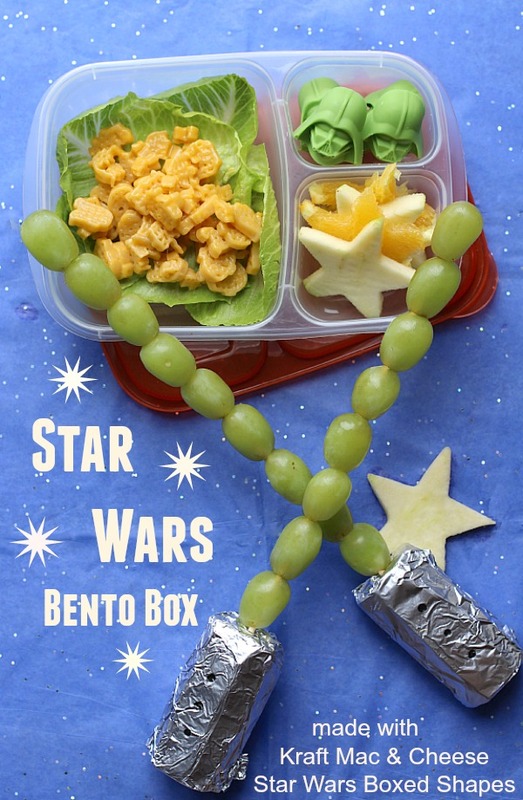 This Star Wars themed bento box is such an adorable idea!! I especially love the Star Wars mac and cheese – my sister and brother in law are total Star Wars fanatics and they are going to flip out when they hear about this! What a cute idea! My boys would be all over these star wars goodies! I will have to look for the mac & cheese on our next shopping trip. OH MY GOODNESS! I love, love, love this. I know my husband would love this as much as the kids. So cute1 This is such a fun way to get kids to eat balanced meals while still thinking they are getting away with only the fun foods! I love this idea!! 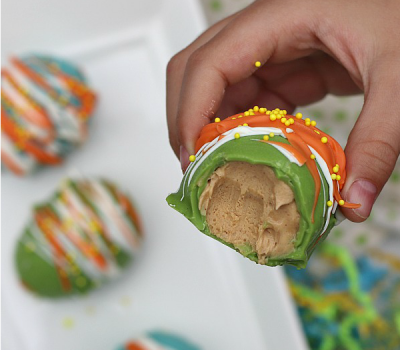 What a fun way to make lunchtime fun for the kids! I love the “light saber”!! What a great way to get the kids pumped for the movie. I like those shapes. This is a wonderful meal idea for boys. I know many boys will love this meal idea. I don’t know of many boys who doesn’t like a sword. That is the cutest lunch idea ever! I know some grown men who would love it. Oh my goodness is that a cute lunch or WHAT?! My oldest would tell me that’s ’embarrassing’ but my youngest would love it!! I need to find that Star Wars Mac & Cheese pronto!! 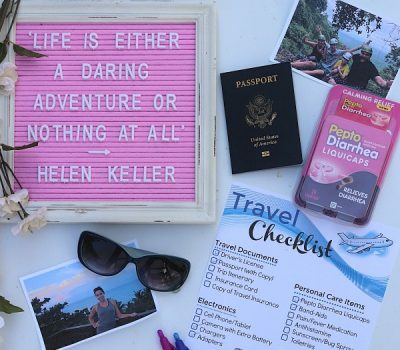 This is totally an amazing idea. I so love the light sabers which are totally creative. I know almost all kids love Kraft Mac & Cheese especially in these shapes. Thanks so much for sharing. My youngest would love this. She is a fan of STar Wars Rebels and this would be great for her. Very Cute! I LOVE your idea, my son would love this. I have tried different bento themed lunches for my two youngest and they love when I do this. That might be a great way to get my son to try his grapes. That is SO cute! 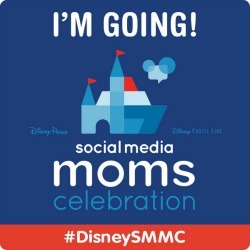 My son will be taking lunch to school next year so I’m saving this for sure! My kids are grown but a family size box of Kraft mac n Cheese, a few pouches of tuna, sun dried tomatoes, green peas frozen and onion make a great tuna noodle casserole for all of us! So creative and easily done. It’s nutritious and fun! What young Star Wars fan wouldn’t want to have this for lunch….and possibly some older fans like my husband. That’s fabulous! For my crew, I’d add grilled chicken and a mild pizza sauce and make a Pizza The Hut meal! These shapes are adorable. 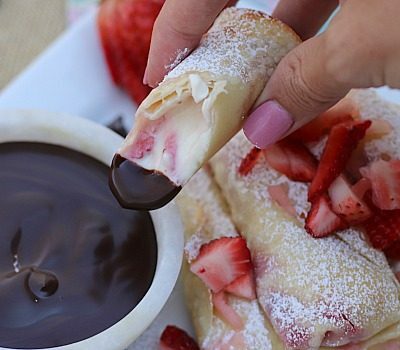 My children would be happy to eat this any day! Great ideas! I plan on using the grape sword idea! Gonna try it with multiple fruits! Cute cut out ideas and starwars macaroni and cheese makes it the ULTIMATE! What a cute idea! Very thoughtful! I just love this idea, how cute is that..a must ty!! This is the best idea ive seen in a long time my boys would have loved this when they were younger , they are 24,and 19 now . Greatest idea I have ever seen!